There are many "Mormon Myths" going around right now, about the Temple in Rome! Please be very careful what you forward on to others! Many of you have received various e-mails describing inspirational events relating to the establishment of the temple in Rome. While the basic spirit of those e-mails is correct (i.e., that the hand of the Lord is guiding every aspect of the project), there are several inaccuracies that I should correct. Specifically, none of the Catholic leaders we met said "We will support you in any effort you want because of your support of Proposition 8 in California." Not only does the Catholic Church have no official decisional role with regard to the Rome temple, it has not made any commitment of support, whether because of Proposition 8 or otherwise. What is true is that at the reception in Rome in January 2009 (where we fortuitously met Catholic leaders), there were several Catholic officials who were aware of the Church's work in California on Proposition 8 and who thanked me as a representative of the Church for that good work. They were grateful that the Church and its members had acted so vigorously and well in defense of our common principles. Indeed, since then it has become clear that the Church has obtained greater credibility and respect worldwide because of what our members did in California. That valiant work has opened doors of cooperation with other faith groups and like-minded organizations that has already benefited the Church. There is no question that the Lord's hand has been evident at many stages of the temple project in Rome, from the initial purchase of the property many years ago, to the necessary rezoning that occurred last year, to our smooth dealings with the city of Rome this year in seeking building permissions, to our encounters with Cardinals and others within the Catholic Church who have been respectful and interested. It has been a faith-building privilege to participate in and to share some of the details of that process. 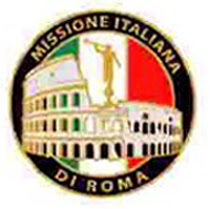 But please keep in mind that our efforts to obtain the necessary building permissions within the Rome City Administration have not come to full fruition and remain at a delicate stage. Consequently, we need to be cautious and judicious when we discuss what is happening there and should take care not to spread incorrect information. I wish you all the Lord's continued blessings as we participate together in this great work.